Screening at the IFC Center followed by Q&A with Director Erik Ljung and Maria Hamilton, Dontre’s mother, and his brother, Nate Hamilton, and Dameion Perkins. Moderated by Donovan Ramsey, Commentary Editor, The Marshall Project. Today is the first day of the Human Rights Watch Film Festival. 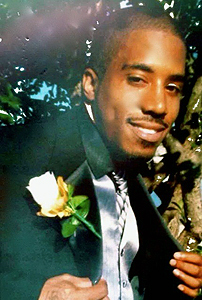 THE BLOOD IS ON THE DOORSTEP, filmed over three years in the direct aftermath of Dontre’s death, looks as if the filmmaker and his crew – empowered with uncanny omnipresence or good fortune or intense gumshoe initiative – were at every sensitive moment as well as at every event covered by the local news media. That makes for compelling cinematography telling a grand narrative about a Milwaukee family, black, dealing with grief and mourning in the aftermath of the slaying of a loved one, unarmed and minding his own business. The films shows, including some of the most sensitive moments of a family’s grieving, the Hamiltons standing up to the pushback from the criminal justice system as well as taking on the challenges of the social and political realities of the local community. 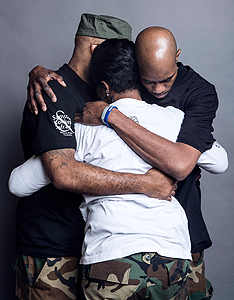 Dontre’s mother, Maria, and his brother Nate, who will be at the 7 p.m.Q&A this evening are the key protagonists. 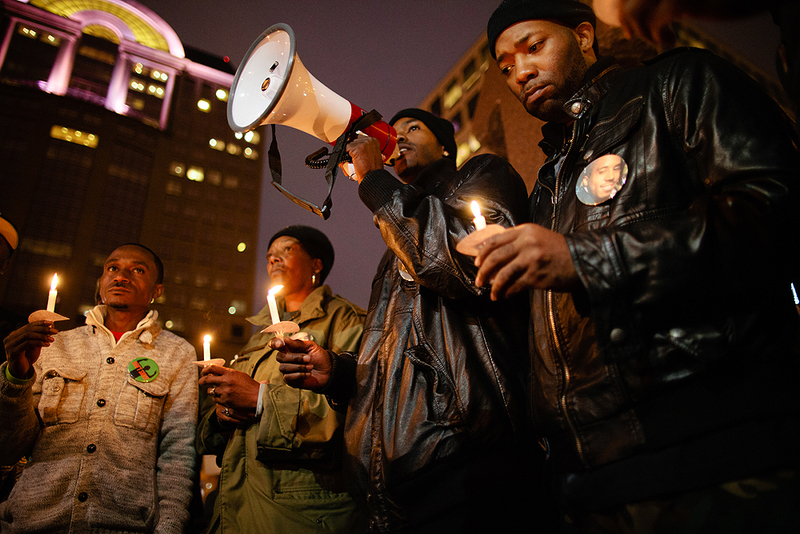 Audiences will see how they evolve into community activists to fight to reveal the truth, the whole truth and nothing but the truth about the death of Dontre as well as to push for progressive change and real justice. The scope and depth of THE BLOOD IS ON THE DOORSTEP provide a grand picture of the social and political realities of the Milwaukee community reacting to this tragedy as well as reflecting on the national crisis of unarmed victims, including kids and women who are black, being fatally slain in what should be nonviolent encounters with police officers. The filmmakers masterfully provide the diverse voices of the Milwaukee community regarding this tragedy, from its marginalized, sardonic pockets taunting and mocking the family and Dontre to voices of elected and appointed officials as well as law enforcement, expectantly but validly partisan and impartial. “Human Rights Watch is one of the world’s leading independent organizations dedicated to defending and protecting human rights. We work tenaciously to lay the legal and moral groundwork for deep rooted change and fight to bring greater justice and security to people around the world. Through our Human Rights Watch Film Festival we bear witness to human rights violations and create a forum for courageous individuals on both sides of the lens to empower audiences with the knowledge that personal commitment can make a difference. The film festival brings to life human rights abuses through storytelling in a way that challenges each individual to empathize and demand justice for all people.” Read more details here.